We have another Book Blitz to share with everyone. 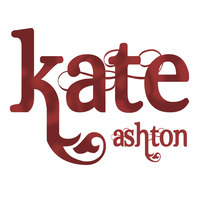 This Blitz is for a contemporary YA entitled Every Little Piece by Kate Ashton. There's an excerpt and giveaway. This Blitz is hosted by Xpresso Book Tours. Enjoy! The door opens and a draft of cooler air rushes through as another flood of customers enter. I sigh, grab some menus and greet them with a smile. Then I see him. My hearts hammers and I force air in and out of my chest. Time stops, like we said our goodbyes just a few days ago when really it’s been almost a year. He looks the same but different. Shadows haunt his face and the bright part of his blue eyes that used to light up my heart seem faded, like they need a good polish. He steps closer. My heart hurts and a lump forms in my throat. Emotions I’ve locked away push at the edges. Two simple words and I almost come undone. I seem to have lost my ability to speak and move as I stand there taking him in. His black hair hangs a little over his ears and his eyes draw me in just like before. But there are little changes too. His face is pale. Tattoos swirl around the top of his arm. Truth invades and real life comes crashing in. My knees shake, and I sway a bit. “Are you okay?” He holds out a hand to steady me. I jerk away like I touched a live socket. I can’t go back. The memories are too strong. Sometimes no matter how much you love someone, the past is stronger, and mistakes make love impossible. A girl with blonde hair flounces in with a bright sparkle to her eyes. She hooks her arm through Seth’s and gives me a suspicious look. “Who’s this?” she asks. “An old friend,” Seth says without taking his eyes off me. I see forever in his eyes and it squeezes my chest. I tear my gaze away from him and study her. Adoration simmers off of her. She loves him or is close to it. Jealousy floods my heart. The happy times they probably spent together in the past year, the smiles, the touches, the laughter. The kisses, gentle and sweet, that used to be mine. I want to grab a butter knife and cut the smile off her face. We are hosting a giveaway for one (1) ebook copy of Every Little Piece (Mobi or ePub format only). Open internationally. Our giveaway ends May 21, 2013. Absolutely! It is hard not to! Thanks! Hmmm...hard question. I think people that have love, tarnish it, sometimes where it's irreparable. If people open their eyes and see what they have, cherish it, there'd be fewer divorces and fewer sceptics. I don't know. I guess so, in special cases where people know the value of what they have. I've been with the same man for 8 1/2 years myself.